All of these reviews point out some very important things to keep in mind about Junk King. First when you hire them you really hiring a two-man crew and a big truck. This is the team is going to do all the work for you. That means lifting any heavy object or climbing any amount of stairs. All you’ll have to do is point to the things you want taken away. Junk King wants to make the junk hauling process as hassle free as possible. That’s why scheduling is easy. Just a few clicks of your computer mouse will set you up with an appointment at your earliest convenience. If your junk is ready to go today, then you might even be able to score same day pickup. Thanks to Junk King Hudson Valley, getting rid of your unwanted junk is never been easier. 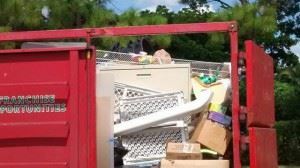 This entry was posted in Hudson Valley Junk Removal and tagged Junk King, junk removal, reviews on September 26, 2017 by Junk King. Last updated September 26, 2017 .